Indian Space Research Organization (ISRO) launched PSLV-C45 at 9.27 am this morning. 28 foreign Nano satellites with indigenous surveillance satellite MSAT were sent to the space from Satish Dhawan Space Center, Sriharikota, Andhra Pradesh. PSLV-C45 has successfully installed the emissat in the orbit of the Earth. 28 foreign satellites have been successfully installed in their classrooms. Like NASA, a stadium-like gallery of about 5 thousand spectators was built in Satish Dhawan Space Center to show the rocket launch. For the first time, ISRO has created history of establishing a Satellite in three different classes simultaneously. This entire campaign was completed in 180 minutes. 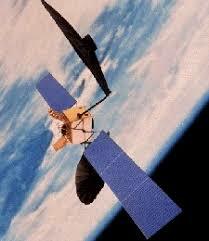 MSAT Satellite is important for India in many ways. This satellite will keep an eye on enemy country like Pakistan. Today we tell you about its features. 1. Msat will monitor electronic or any kind of human activity on the border of Pakistan. This means that this satellite will keep an eye on the radar and the sensor on the border. 2. Through Communication Intelligence it will find out how many communication devices are active in that area. 3. Through the sensor deployed on the border, help to locate the exact topography of the enemy area. 4. Can be able to take photos even in the darkness of the night. 5. Through this, it will help to find out about enemy’s weapons and military capital. 6. MSAT is the ISRO’s automatic detection system for marine satellite experiments, which capture messages sent by ships. 7. MASAT (Radio Amateur Satellite Corporation), automatic packet repeating system from India, monitor position data and help amateur radio operators. 8. It will examine the electromagnetic spectrum in the satellite space. 9. The surveillance of Indian surveillance will be strengthened by this satellite, which is manufactured by DRDO scientists at home of 436 kilograms. 10. Being established in the world’s 749-km-high orbit, it will monitor radar networks.